A sad sight near the end of Supanova today. 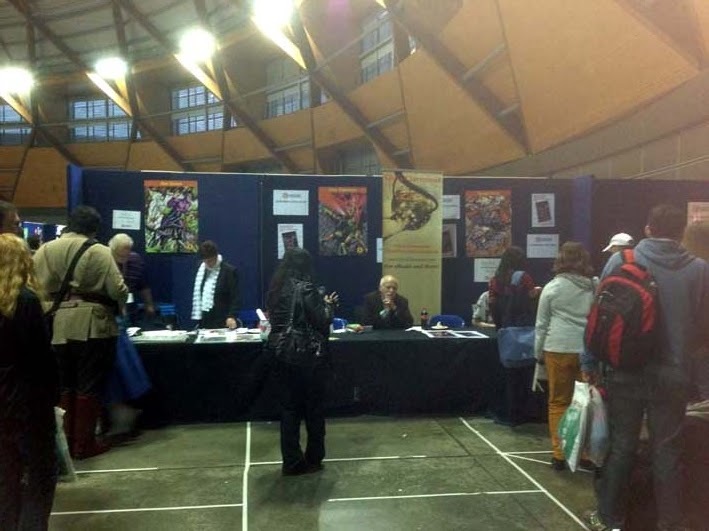 Legendary X-Men writer Chris Claremont is all alone while fans swamp, on the right, George Perez (understandable) and Alex Saviuk (not so understandable). It was cool to meet all three men (even if Perez was rushed off his feet and barely had time to say hello).